The Hotel Weisses Kreuz - now only an annexe for the staff of the nearby Hotel Schloss - can be found in Pontresina (via Maistra, 7504). Wilhelm Conrad Roentgen "spent 43 consecutive summer holidays" at this hotel1. 1. 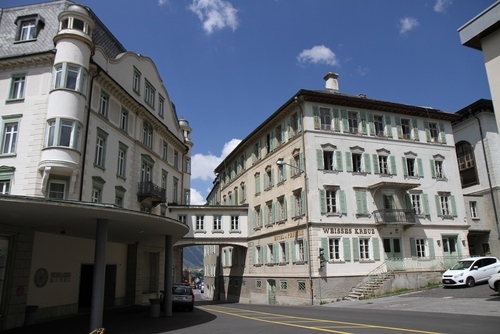 Retrieved from the Municipality of Pontresina's official website.